The dream of every footballer is too be a professional player and too represent your country. 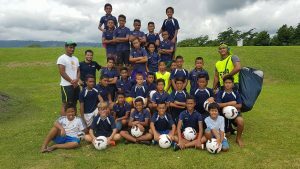 The Football Federation Samoa (FFS) endeavours to do its part to insure this dream will be achieved one day by our inspiring young footballers or soccer players. Today sew the reintroduction of the Centre of Development Programme as part of the FFS technical programmes for 2018. The programme has started with thirty (30) talented youth players selected from various clubs currently competing in the National Youth League tournament. 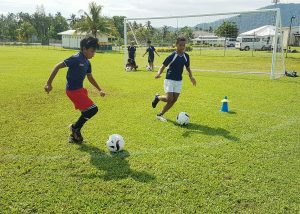 The FFS Centre for Development focuses on the development football skills for children between the ages 10-13 as it believes in nurturing players from a young age. 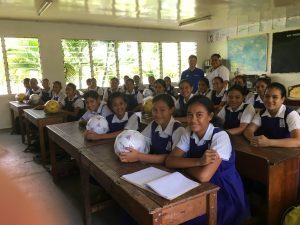 Some important aspects of the Centre’s program is the focus on technical skills as well as discipline as it has been noted that whilst Samoan children naturally have the physical strength, it is equally important to install technical skills and discipline at an early age. Additional to the skills and ongoing support provided to players, FFS Centre for Development since its establishment has offered scholarships to local students such as Jarvis Alatise who is currently studying at Hastings Boys High school in New Zealand for two years. 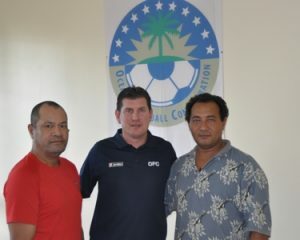 FFS also believes that providing free coaching programs and support networks for young Samoan children is crucial to the development of football in Samoa at the grassroot level which benefits Football development in the long run. 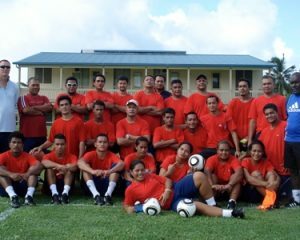 The FFS Centre’s training program runs twice a week throughout the year for boys and girls from 10 to 13 years of age. FFS also provides free transportation of selected students to and from their designated training days to ensure continuity and successful implementation of its program.